By taking on a Republican incumbent, our client Liz Thomson faced a formidable task. Although her work as a pediatric physical therapist offered her a unique perspective on many of the electorate’s top issues, Liz’s public profile was minimal and she had never before held public office. Our primary asset was the dedication that Liz has shown throughout her career, both to the children she works with and to her community. 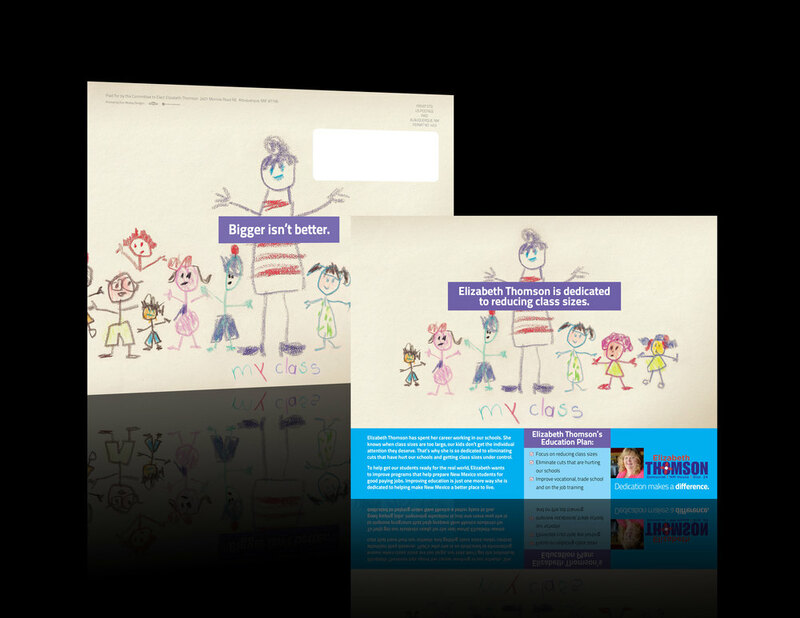 Our “Dedication is the Difference” brand shaped a mail plan marked by emotionally evocative copy and crisp visuals that highlighted her plan for the state. This helped us build an effective contrast with the opponent, whose issue positions were clearly out of step with the district.